In recent months, Kim Jong Un has made a flurry of diplomatic moves to improve relations with the United States and South Korea, none so notable as his proposed meetings with South Korean president Moon Jae-In and President Donald Trump. On the surface, this recent change of tack seems to be the result of Trump’s actions, who spent most of 2017 alternating between threatening North Korea and imposing ever heavier sanctions upon the country itself. A peace treaty has never looked closer — and all thanks to the work of our president. For starters — it would be foolish to give our president all the credit for Kim’s recent diplomatic actions. The constant threatening by Trump, for one, has been all but useless. Kim Jong Un knows that the United States is unlikely to ever attack North Korea — the fear of retaliation against the U.S.’s allies of South Korea and Japan is too strong. If anything, Trump’s selection of John Bolton, a noted war hawk, for the position of National Security Advisor may strike more fear into North Korea than any of his previous threats. As for the sanctions themselves? Much more effective. But still, while the economic pressure on North Korea may have resulted in some of their recent actions, if the country truly wanted nuclear capability, it would only need to sacrifice the wellbeing of its citizens to do so. Sanctions are, indeed, a major contributor in Kim’s recent actions — but it is not the main contributor. So what’s behind the current shake-up in North Korea? For the moment, it seems to be something else: the conclusion of its nuclear program. By many estimates, North Korea may very well develop a working nuclear intercontinental ballistic missile by the end of this year. The general consensus holds that the country would then use this nuclear capability to gain international recognition, aid in economic development and deter the U.S. from invading North Korea. At the moment, North Korea’s nuclear program has never had more value in terms of negotiations with the U.S. — hence the recent diplomatic actions by the country’s typically mercurial leader. Why doesn’t North Korea simply threaten the U.S. with its nuclear weapons into doing what it wants, now that it has the ability to make those threats reality? For all of its firepower, North Korea knows that threatening the U.S. into doing what it wants is a risky business. Not to mention, the U.S., too, knows that North Korea is unlikely to ever attack our country. The fear of retaliation is again too strong. Negotiations are a far more reliable tactic — and by putting their nearly complete nuclear program on the table, North Korea can mold a potential peace treaty into one that is favorable to their cause. 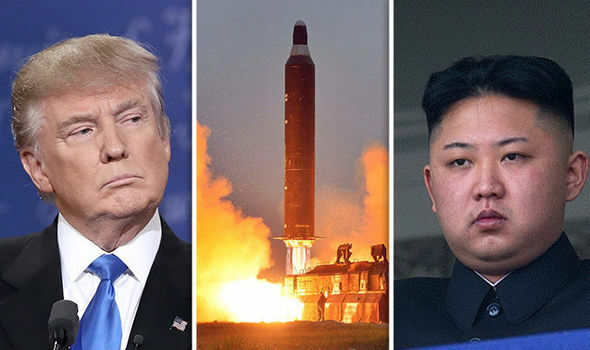 Trump’s actions have only hastened these plans – the threat posed by economic sanctions has put the pressure on North Korea to impose its nuclear leverage on the United States before it is too late. North Korea has something the U.S. wants: a complete dismantlement of their nuclear program. The U.S. has something North Korea wants: a withdrawal of all troops on the Korean peninsula and a complete lifting of all sanctions on the country. Both countries, in the end, want peace. Now? Talks are coming up — and at the end of it all, both countries may indeed have their respective desires. There may never be a better time to act for the good of peace on the Korean peninsula.